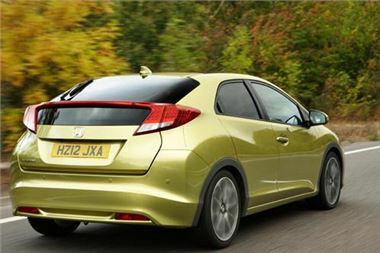 Following an improvement to the supply situation in Thailand, Honda's UK manufacturing facility in Swindon will resume normal production on 19 December 2011. The severe flooding in Thailand requires us to continually monitor the supply of parts, however, the situation has improved sufficiently to allow Honda of the UK Manufacturing Ltd (HUM) to plan for a return to normal production activities. Resumption of production will also see the start of mass production of the new Civic. “Our Associates have shown great understanding over the last month and we are all now really excited about the prospect of starting to produce our new Civic,” said Andy Piatek, Director of Manufacturing at Honda in Swindon. 1-12-2011: From the Thailand International Motor Expo that opened at Impact in Bangkok today, Honest John reports that Honda Thailand remains in trouble. Honda's two Thai factories in Ayuthaya, together capable of producing 240,000 vehicles a year, were inundated by the floods. Such was the damage that full production cannot resume until April 2012 at the earliest. To meet domestic demand, Honda has been allowed to import cars from other production centres. This enables it to meet orders for the Accord, the Jazz and the Freed, built in Japan and in Indonesia. While RHD Brios from India will solve that problem too. But one major seller, the Honda City saloon is built only in Thailand. Consequently, Honda predicts a 36,000 unit shortfall from its 2011 Thai sales target of 120,000 units. For the backlog of cars ordered before the floods, 37,000 remain undelivered. Pitak Pruttisarikorn, executive vice president, also acknowledges that Honda may have a shortage of spare parts at some service centres, but hopes to shuffle inventory between centres.